We love the opportunity to try out a new trend, especially when it doesn’t break the bank. Which is why we were thrilled to come across Susy’s adorable closet on Poshmark. Ever wanted to try a romper or crop top? How about a wrap skort or tutu skirt? With prices like the ones in this stylish closet, now is your chance to take a risk and add a little something new to your wardrobe! Get to shopping! While we’re on the topic of crushing on closets, we’re featuring some of you sporting your favorite Posh Finds! 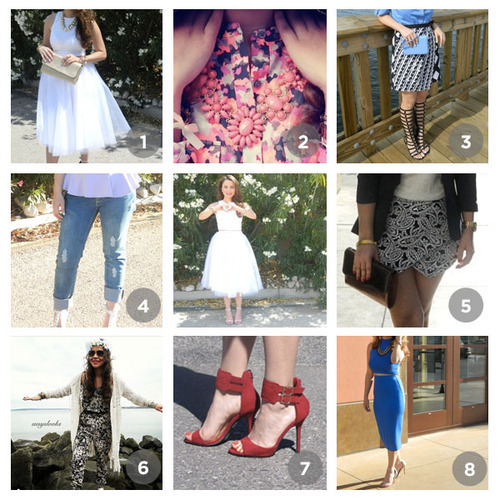 Share the love and show off your style by creating a #ClosetCrush listing, and you could be featured.